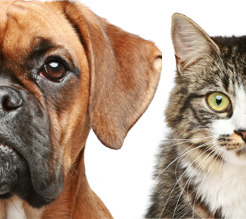 I am a full time dog walker and cat sitter with more than twenty years experience working as a registered veterinary nurse and practice manager. I love animals and when I am not looking after your pets I am busy looking after my own: Daphne (Basset Fauve de Bretagne), Beatrice (Pug) and my two cats, Lily and Sacha. The type of care I provide is the same as I would like given to my own animals. When I visit your cat, they will get love, attention and plenty of affection...just like my own cats do and dogs will be given walks that they love, not just a walk round the block but a walk that is fun, stimulating and really enjoyable...the kind of walk that I would want my own dogs to be given.